Prior to the National Lacrosse League's expansion draft, Philadelphia Wings coach Paul Day emphasized the need to get players who can score. So it was no surprise that the Wings' first six picks on Monday were all forwards who have a history of putting the ball in the net. "We've got some guys with some recent championship experience. We've got some great people for the culture of our dressing room, which I feel is really, really important," said Day, who also serves as the Wings' general manager. The Wings — along with the other new franchise, the San Diego Seals — began to fill out their roster by selecting nine players in the expansion draft. The Wings took Brett Hickey, a 28-year-old forward who played for the Toronto Rock this past season, with the first overall pick. The team also consummated a trade after the draft, acquiring Buffalo Bandits defenseman Zac Reid for forward Vaughn Harris, their eighth-round pick. "I think we are really excited about the type of players we got overall," Day said. The Wings will choose an additional nine players in the six-round entry draft in September. The Wings, who will have picks 2, 14, 25, 28, 39, 40, 51 and 54, and 64, will be choosing from the best players who will be entering the professional ranks. The focus will be to get two to three players who can immediately help the team, Day said. He understands, however, that college players will be going through a phase of development and adjustment. "Really, if we can get three guys who can step in and start every night, then it's been a successful draft," Day said. 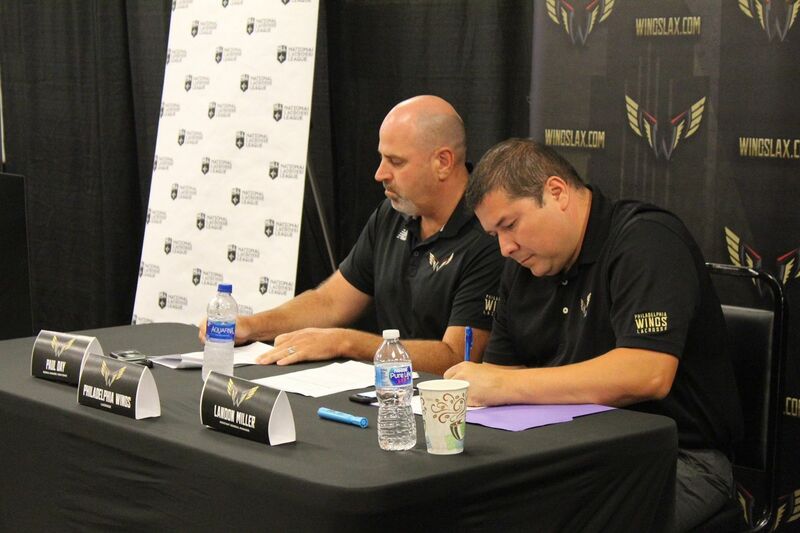 The NLL is planning on adding four teams by 2020. The league, which stands at 11 teams with the addition of the Wings and Seals, is hoping to expand to 30 teams over the next decade. Ownership, location of venue, and quality of market will all factor into which cities are awarded a franchise. "We've got a lot of momentum going in the league right now," said NLL commissioner Nick Sakiewicz. "We are driving toward that mark."